Words Matter: Did The Feds Just Admit Cannabis Is Medicine? For the first time, the U.S. Federal Government has called cannabis medicine, a huge step forward for the feds. Words matter. For the first time, the U.S. Federal Government has called cannabis medicine. Previously, the National Institute on Drug Abuse (NIDA), had listed a page entitled Is Marijuana Medicine? As of March 2017, however, the government institution has changed the name to Marijuana as Medicine, suggesting that at least some branches of the federal government admit that cannabis has medical value. As many already know, cannabis is listed as a Schedule 1 Controlled Substance under the Controlled Substances Act of 1970. As a schedule 1 substance, the cannabis plant has no medical value and is as dangerous as heroin. Well, at least according to the U.S. federal government. In August of 2016, the Drug Enforcement Administration (DEA) made a statement that determined that cannabis would remain a schedule 1 drug. While a major disappointment, the DEA did open the doors to more research on the herb, potentially allowing more universities to cultivate the plant for scientific purposes. NIDA’s new headline change is a small token of hope for more responsible cannabis rhetoric in the future. Historically, NIDA has been extremely apprehensive about cannabis. Recently, director Nora Volkow wrote an op-ed which urgently warned pregnantly and breastfeeding mothers against using cannabis while breastfeeding. While the institution is far from accepting cannabis as a safe recreational herb and a humble natural medicine, admitting that cannabis is medicine is a huge step for the Feds. NIDA isn’t the only federal agency that has changed its tune recently. After the cannabis advocacy group Americans For Safe Access (ASA) filed a formal complaint about some of the language the DEA included on its site, a report on the DEA website, Denial of Petition To Initiate Proceedings To Reschedule Marijuana (DPR), which contained many of the factual errors in question was removed from the site. In December of 2016, ASA submitted an Information Quality Act Request for Correction of Information Disseminated by the DEA Regarding Marijuana (cannabis). The request cited 25 different violations of the Information Quality Act. 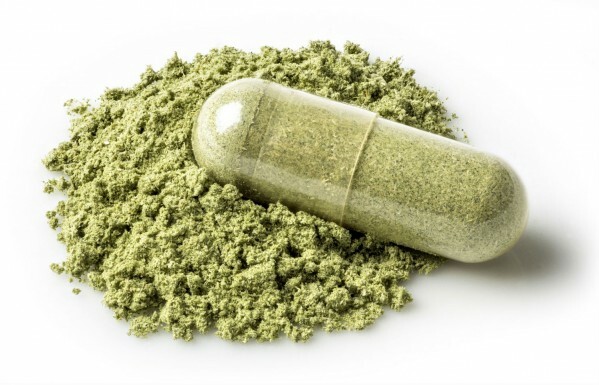 The DEA website had falsely claimed that cannabis is a “gateway drug”. The gateway theory suggests that cannabis consumption encourages the consumption of other drugs, making it a gateway into drug addiction. Unfortunately for the DEA, there is no scientific evidence to back up gateway theory. Further, more evidence suggests that the theory is false. For example, in a recent survey, patients report that they actually use cannabis as a substitute for other more harmful drugs, such as prescriptions opioids, antidepressants, benzodiazepines, tobacco, and alcohol. The DEA had also made false claims that cannabis caused psychosis and that the herb leads to the long-term cognitive decline in adults. Recent evidence has been hard pressed to find evidence that cannabis causes either of those things, and there is some evidence that cannabis may actually improve long-term cognitive decline in adults. Neither of these changes represents big wins for the cannabis industry. However, these small language battles set the tone for how the public and the government interact with cannabis in the future. It’s time to use words to bridge the gap between cannabis ignorance and understanding.